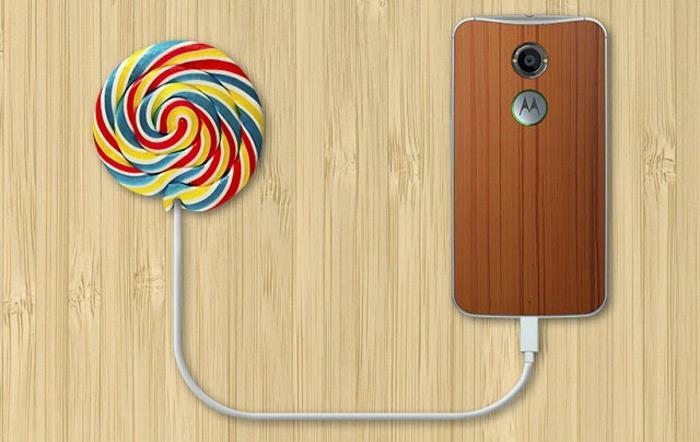 Not too long ago, we heard Motorola is rolling out the Android 5.0 Lollipop update for the second generation Moto G, but later, it was revealed that it’s just a soak test, and not a public roll out. Now, it seems the soak test is complete, and Motorola has officially announced that Android 5.0 Lollipop is rolling out for a number of Moto devices, including the new Moto X (Pure Edition and US GSM version), and the new Moto G (global version sold in the US). Fret not if you’re based in other parts of the globe as we’re hopeful it won’t be long before the latest Android 5.0 Lollipop update reaches the devices in other regions as well. The Android 5.0 Lollipop updated features plethora of improvements and new features on board, including the all-new Material Design which adds fluid animations and visual tweaks, as well as improved notifications. Now, you can manage your notifications from the lock screen, giving you an easy way to either postpone them or open them with a few simple taps. Furthermore, there’s a new flashlight in Quick Settings. Just swipe down with two fingers from the status bar to see it. If you’re rocking the new Moto G or the Moto X, check your notifications for an update, and let us know if you’ve installed it yet.